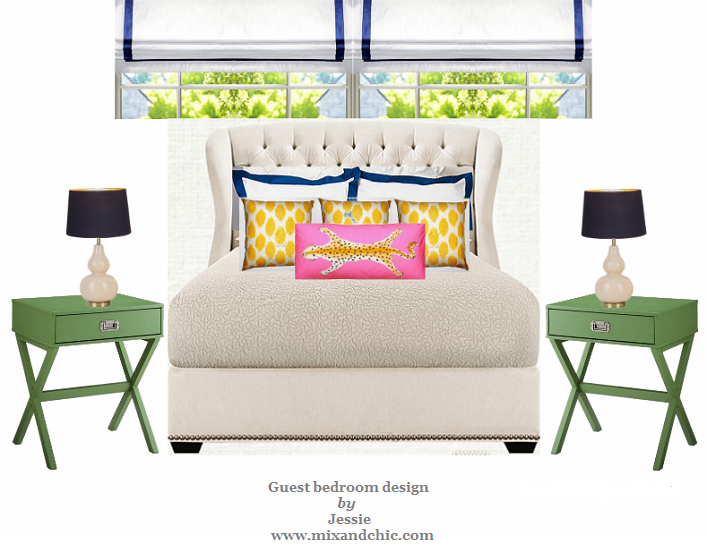 Mix and Chic: My master bedroom revealed! If you have been following my blog, you know that I recently participated in The One Room Challenge, organized by Linda from My Crafty Home Life. If you are new to my blog and is wondering what The One Room Challenge is all about, you may check out all my previous posts here. As promised, I will be sharing details, behind-the-scenes and resources of my master bedroom makeover. After moving to Illinois from North Carolina more than two years ago, I had a chance to redesign our master bedroom recently. It all started with this inexpensive pillow from Target. With a design blog with literally thousands of gorgeous room inspirations, you would think I designed my master bedroom around an inspirational picture or two from my blog. Surprisingly, I drew inspiration from a simple, navy striped pillow instead. Sometimes, I even surprised myself because blue hasn't been my favorite color but when I saw this navy pillow, it was love at first sight. I thought the color looked very fresh and has a relaxed quality about it. I knew I wanted my bedroom to feel the same way. Next, I started to look for bedding. I have had the same striped beige bedding for 7 years and it's time for a change. I have always wanted to have a crisp, white hotel style bedding with gray stripes stitching. Fortunately, I found them at Target at a fraction of the price (compared to over $200 at other big box stores). I knew this after spending a few hours doing my research online. The wall color in my master bedroom was inspired by those gray stripes. I decided to go with a very light gray so the bedroom wouldn't look so cave-like considering that I will be keeping all my dark furniture. In keeping with our small budget, we kept most of our bedroom furniture. To freshen them up, I have added bright and modern accessories to update the look. I wanted our master bedroom to feel relaxing but still look fresh, chic and visually interesting, thus the eclectic touches. Let's revisit some of my master bedroom pictures that I shared previously. I bought these chairs seven years ago for my living room. The color is not ideal for this room and has a lot of visible water stains. I am planning to get them reupholstered in a white fabric or perhaps get two new chairs, depending on what I will be finding along the way. If you have been a long time reader of this blog, you might remember the same chair and acrylic coffee table that I used in my living room. I am planning to get a new coffee table for my living room soon. Now, I just need to find something I like that is also within my budget. I actually had bright pink peonies or bluish purple hydrangeas on my mind for this installation but unfortunately, my local Whole Food (that's known for pretty fresh flowers) did not have any gorgeous flowers that day. After checking out a few other stores for fresh flowers, I found these pretty flowers at Jewel Osco. These flowers were not sold in a bouquet but rather in individual packages. I bought four and thought the colors looked very beautiful together. Did you notice the ceiling beam? This large space used to be two rooms but one of the previous owners decided to do a little renovation by combining the two rooms, adding an attached bathroom and turning it into a spacious master bedroom suite. A close-up of the hardwood floor installation that hubby had been working so hard in the past few months. You may read more about the hardwood floor drama here. You might remember our wedding canvas from here. I thought the area above our nightstand was a little bare so I added a small vase and some green foliage that I picked from our yard. I bought this bedroom set 7 years ago because I really wanted to have a canopy bed. The color is not ideal but for the price, it was well worth it. I intended to put two king sized pillow shams behind my standard pillows but they were missing during our move. The bed would definitely looked better with those shams, in my opinion. Since all the furniture in my bedroom is so dark and heavy, I wanted to lighten the space up by using lots of mirrors and glass table lamps. I do not want my bedroom to look too serious so I added a whale pillow for a little bit of fun and whimsy. I have wanted to get the pillow for a while but I decided to wait for a sale before I made the plunge. I bought this clock when I was in NC. It used to live in my living room. I thought it would look wonderful against the light gray wall in my bedroom. Those table lamps were bought during a silent charity auction (that benefits the Leukemia & Lymphoma Society) during one of our regular Parade of Homes tour. This miniature hutch was a gift from hubby for my birthday. I saw this adorable piece during one of our window shopping trip and hinted that it be would be a lovely birthday gift. I was so thrilled when my hubby bought it on the spot for me. :) I really like that all the little doors and drawers can be opened and closed. I think this adorable mini hutch would make a perfect display for little trinkets in the future. As you can see, my bedroom doesn't receive a lot of natural lighting during the day although there are four windows in the room. I wanted to show you my cowhide rug because I really love it. I have been wanting one for years but can't find one that's below $350 until I stumbled upon this one at Ikea. I was so thrilled with this purchase because first of all, Ikea's cowhide rug is the least expensive compared to what's on the market. On top of that, it was on sale and it looked gorgeous! While I was at Ikea, I definitely took my time and sorted every cowhide rugs on that rack but none looked as beautiful as this one. The best way to shop for cowhide rugs is to buy it in a store so you can check them out in person. The patterns and details on cowhide rugs are so random and different and you might not like the one that someone else picked for you when you shop online, just my two cents. I bought those green geometric pillows earlier this year during my birthday trip. A few months later, I stumbled upon this table lamp and brought it home with me. At first, I didn't realize they looked so eerily similar in terms of color and pattern (I put all my purchases in the closet and never took them out) until installation day. I was running out of time for the reveal on Wednesday so there is no way I could replace the pillows or the table lamp. It's quite insane if you think about it but I guess we tend to get attracted to the same thing again and again, don't we? 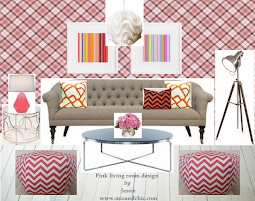 I am planning to change out the pillows or the table lamp in the future to avoid the matchy-matchy look. I love my canopy curtains. I like that they were crisp white and very well-made but I would prefer if they were a little longer. What do you think? Do you think the length is right? I forgot to turn on the table lamp on the left but I think this is a nice picture in general. The lighting and colors represented the room well. The door on the far right leads to our attached master bathroom. It's a tiny bathroom but it works for us. There are a few things you didn't know about this bedroom. I thought it would be fun to share with you some of those things! 1. I haven't show you one wall in our master bedroom and that's the closet wall. It's not pretty because it's a wall of mirrors. I am planning to use either screens, curtains or Overlays to hide them some day. 2. Trying to spend as little as I can, I didn't get a duvet insert. I figured I could just put my old comforter inside my duvet cover and guess what, it worked! 3. 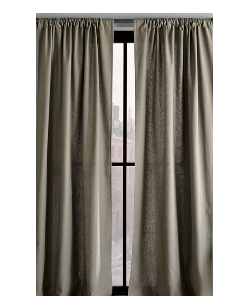 My husband already hung double curtain rods in our bedroom because I was planning to get some sheers for the windows. We haven't had a chance to get the sheers so I took the rods (for the sheers) down. 4. Many of the picture frames were empty. We didn't have a chance to select pictures and have them developed. I am planning to do that soon. 5. Hubby unknowingly missed a row of wood floor installation near the closet area. I don't blame him, it wasn't obvious. He will get that done when he gets a chance. 6. I changed the lamp shade of my mint green table lamp (the one from the sitting area) from a darker linen shade to a white shade (from another table lamp). This room is not completed yet but I am "done" for now. New pieces will be added and old pieces will be replaced in the future for sure. As with all rooms in my home, our bedroom will continue to evolve according to my taste and budget. I hope you enjoy my master bedroom tour. Thanks for all your wonderful comments last Wednesday! I really appreciate it. So beautiful Jessie! I love that you have enough room for a seating area. That room is a perfect master suite! I love it Jesse. Your lamps are all so wonderful, and what a cozy feeling in there. The cowhide and coffee table are awesome, and love you retreat..
Jessie, you did a fabulous job. Love it! Looks good Jessie! Great job! This is so nice. Very luxurious, warm, and cozy. I wish I had a room this size! Nice work! Jessie it's fabulous! I love it all. All the little secrets you revealed...not everyone would do that. Enjoy your room for many years, the bed is to die for by the way! This room really turned out lovely! I think the sitting area is fabulous (love that acrylic table! ), and your bed is gorgeous! You have a great eye! Wow, your room is beautiful. Great job! Nice job...what a restful, stylish retreat! Such a spacious room! I really love the bed and canopy and I actually think the color is lovely. You've done an amazing job, that bedroom is gorgeous! I have this linked to my master bedrooms post as well today, for inspiration! Hi...Your blog is quite a find I must say!There are loads of ideas and inspirations and interesting posts...So over the next few days I plan to read them up all!Your master bedroom looks amazingly beautiful! I like your room, especially you did a great job on a budget. 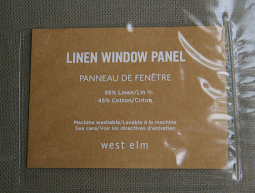 Have you considered changing the curtains to white, they would match the bedding and lighten the space up a bit. Just a thought.